Henkel made the decision to switch all coolant in the Oxford plant to FPC COMP E8046 and saved approximately 40% off the cost of the OEM branded product. Henkel North America, a large multi-national chemical company, came to Filter Products Company to reduce costs by finding an alternative to Ingersoll Rand SSR Ultra Coolant. After verifying the material safety data of the equivalent FPC product, they found its compressor wear and overall performance was equivalent to the OEM branded product. They made the switch to FPC at a cost savings of approximately 40%. The Henkel facility in Oxford, MI manufactures products used by tier 1 automotive suppliers. As such, the facility has stringent requirements for manufacturing parts with high quality and minimal downtime. Additionally, Henkel’s automotive customers are concerned that the lubricants and coolants used in the production of their parts meet material safety guidelines. Therefore, before changing coolants, Henkel needed to review the material safety data sheets (MSDS) and test the FPC product to ensure it met the MSDS specifications. 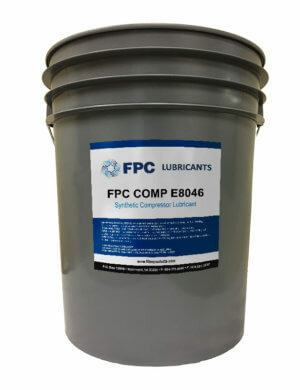 Filter Products Company searched their extensive cross reference library and found an equivalent coolant in FPC COMP E8046. FPC then sent sample quantities along with the material safety data to Henkel for evaluation. After Henkel reviewed the MSDS, they conducted an analysis of FPC COMP E8046 and confirmed that it met the specification. Then, under the direction of a quality engineer, the OEM coolant was removed from the compressor and the FPC equivalent was added. Because the OEM and FPC coolants were compatible, no system flushing was required. The compressor performed as expected during the trial period. A laboratory analyzed some of the FPC coolant from the compressor to observe the amount of wear present. The testing confirmed that compressor wear was equivalent between the OEM branded coolant and the FPC replacement. Henkel made the decision to switch all coolant in the Oxford plant to FPC COMP E8046 and saved approximately 40% off the cost of the OEM branded product.